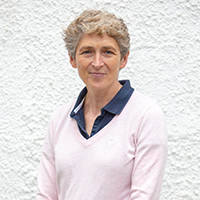 Fiona Johnston graduated from Glasgow University Veterinary School in 1991. She spent seventeen years in small animal practice and is practice manager of DentalVets with particular responsibility for administration, education and training. Her special interests in general practice, in addition to dentistry, are cardiology, radiology and feline medicine. Since 1996 she has taught numerous veterinary dental and veterinary undergraduate courses in the UK and Europe.